This Blitz Resin Tube with Drip Tip is designed for TFV12 Prince tank including a 810 resin drip tip, a 8ml resin tube and four silicone o-rings. Perfect for TFV12 Prince with high quality and unique pattern. 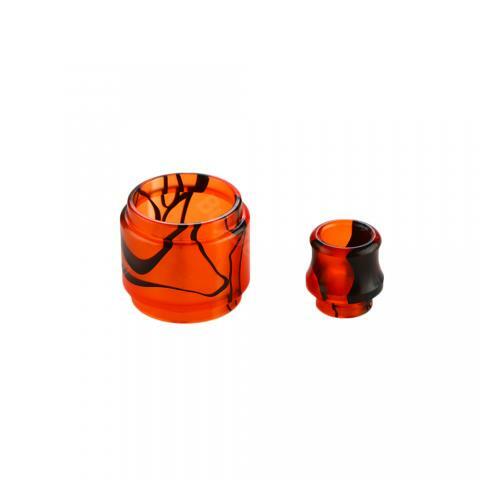 This Blitz Replacement Resin Tube with Drip Tip is designed for TFV12 Prince tank including a 810 resin drip tip, a 8ml resin tube and four silicone o-rings. Perfect for TFV12 Prince with high quality and unique pattern. 8 attractive colors for you to choose from. • Each resin kit has its own unique pattern. We could not guarantee the product has the same pattern as it shows in pictures. We can only ship orders randomly. Thanks for your understanding.